Elizabeth Jeffries met and fell for Scott Taylor while she was working as his assistant. Even though they had their ups and downs, they realized that they had something special between them that they wanted to pursue. 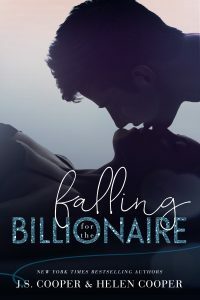 When Scott Taylor finally realized he was in love Elizabeth, someone else came along to claim her, bringing with him a surprise that would shock both of them. Now Scott has to fight for the woman he loves and try to convince her that he really is a good guy that is after her heart above everything else.